Janome sure has a lot of excellent sewing machines. And, once you have your heart set on Janome, choosing the right sewing machine is nearly impossible. Don’t you agree? Particularly, it is extremely difficult to settle on one unit without knowing about the details in depth. Lucky for you, you’ll find this post to be highly useful! 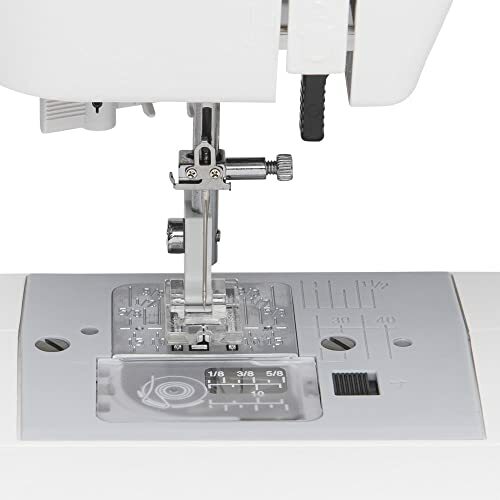 Janome MOD-19 is one of the best models to sew things with. This post entails a detailed review of the MOD-19 so that you can determine if this model is for you. From purchasing the machine to testing this machine for you, we present you this post. We have made sure that everything has been covered from the customer’s view so that you can be sure of your choice! Read on to learn more about the MOD-19! 2.2 How Does The Machine Look Like? 2.5 Is The Machine Worth Purchasing? 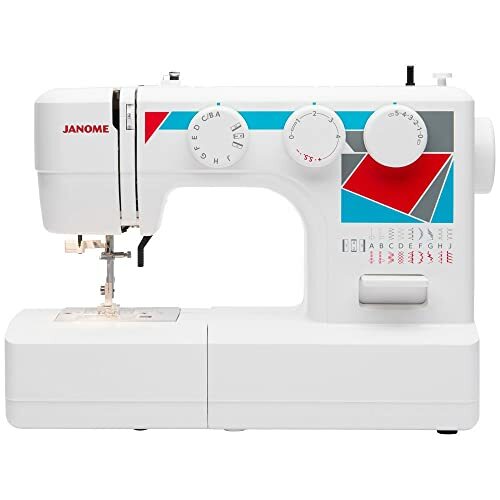 2.6 Where To Buy Janome MOD-19 Sewing Machine? Before we move on to the machine, let’s first learn more about the brand. Knowing the brand is equally as important as knowing the machine’s features. Buying a sewing machine from a well-reputed brand will ensure your machine works efficiently and lasts long. Ever since Janome came into existence, it has held a reputable position. In fact, it is considered to be one of the best brands of sewing accessories in town. This is because their sewing machines reflect creativity and innovation. To your surprise, despite their machine’s rich features, all the sewing machine models are very basic. Thus, they are easy-to-use. Coupled with this, the user-friendly features give their machine an edge. This is too good, don’t you agree? Furthermore, Janome is a very well-known brand in the market because the machines meet expectations. In fact, the machines even set a bar for success! In addition, the machines produced are of high-quality. They are also budget-friendly. The best part is that you have a variety to choose from! Want something to conquer your projects with power, precision, and confidence? If yes, then the Janome MOD-19 Sewing machine is all you need! In this section, the description of this machine is dealt with in detail. Further sections are there to help you here. From the features, specs, to the looks and accessories included. A short note about the brand is also given. This is because brands play a major role when we finalize our products. Excited to know? Keep reading to find out! 19 built-in stitches: It comes with 19 built-in stitches. These include basic, fashion, heirloom, as well as home décor stitches. Buttonhole: This model also features a four-step buttonhole. Stitch length and width: Using this model, you can adjust the length as well as the width of the stitch. Simply rotate the dials and customize to the desired settings. Drop feed: This machine has an adjustable drop feed. You can lower the feed to free motion, and make it high when desired. All this requires is a touch to the lever. Heavy duty interior metal: The heavy duty interior metal frame ensures consistent stitches and makes the machine durable. 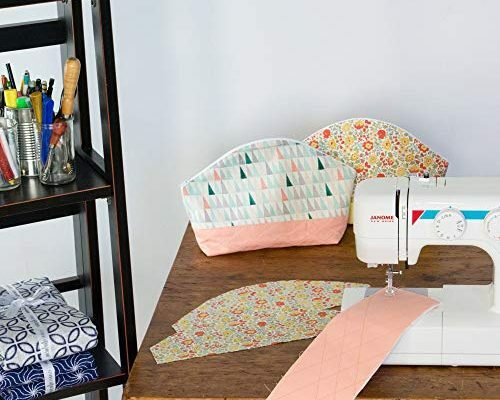 Removable free arm: It features a removable free arm for a larger area of sewing. Presser Feet: It has snap-on presser feet. 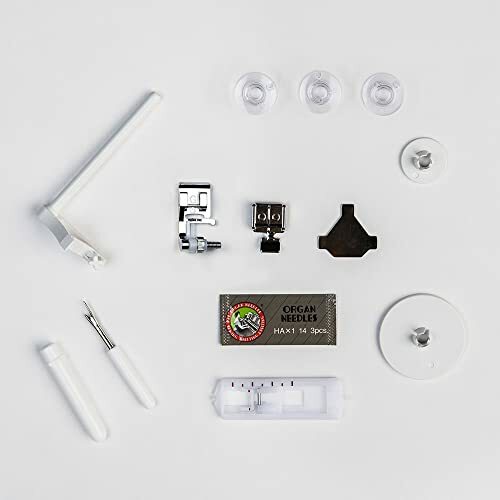 Top Drop-In Jam-Proof Bobbin System: This feature allows you to get the sewing set up done quickly. 5-piece feed dog system: This feature enables the smooth handling and management of fabrics. Easy threading system: It has an easy threading system with a one-hand needle threader. Speed: 750 stitches per minute. Warranty: The MOD-19 is backed up by a 25-year limited warranty. How Does The Machine Look Like? This machine is white in color. It has a very basic yet decent design. Even though it is not a model with a design that can be shown off around, its features and crafts definitely make up for that! The machine also has some patches of red, blue, and grey color to add a little depth to its appearance. Mostly, these accessories are stored in the free arm storage tray. Is The Machine Worth Purchasing? 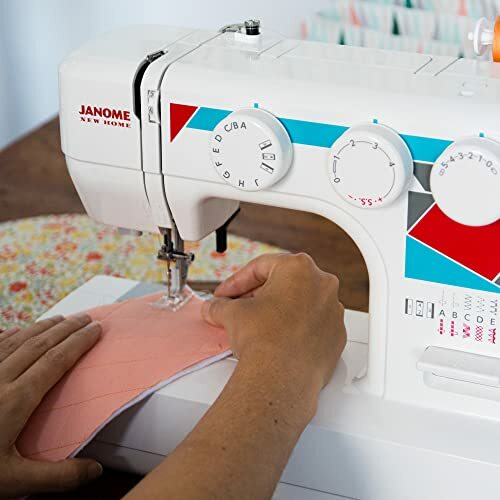 The Janome MOD-19 Sewing Machine is a perfect choice to craft a number of projects. It has a high end finishing quality. The machine is also very versatile, and durable. From your clothing to your home décor items, everything can be done using this machine. The machine also has an option to customize your stitch’s length and width. Moreover, the 4-step buttonholer available can craft virtually perfect buttons! But does it end here? Definitely, not! There is, in fact, more to the story. These things, coupled with all the features mentioned above, make this machine one of its own kind. The best part here is it is highly easy-to-use. All its features are very user-friendly and of great use too. That’s something very impressive, isn’t it? However, with all this, the model has negatives as well. To read out about the advantages and disadvantages of this model; keep reading ahead! It is affordable, i.e., budget-friendly. 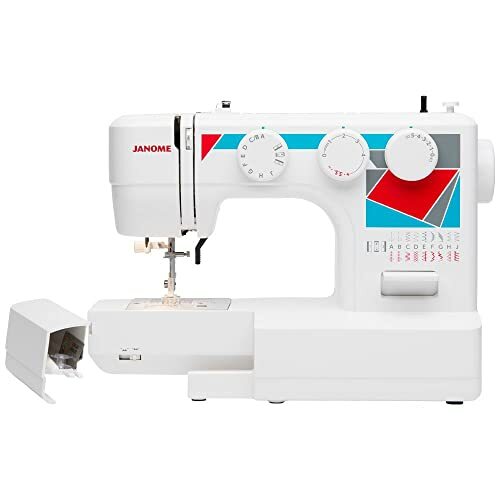 Where To Buy Janome MOD-19 Sewing Machine? It is highly recommended that you order the MOD-19 through the official website or official retailers. However, the product can also be purchased from any retailer or shop, provided the source is authentic and a trusted or reliable one. By doing so, you’ll save yourself from fraud. Since Janome products are highly well-known in the market, you’ll have no difficulties in finding them in different shops. So, is this the model you have been looking for? Does it fit your wants and needs? If yes, then what is it that is stopping you now? 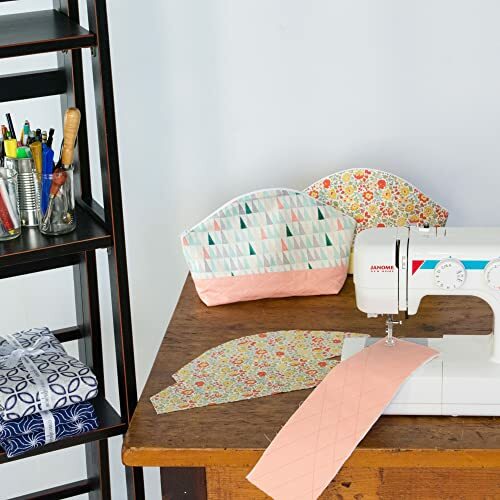 Get your hands at the ready, and order your sewing machine right away! Get your dream machine now and start creating unique pieces!